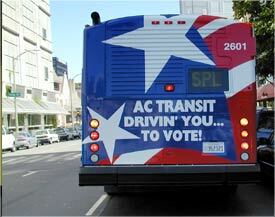 Each year AC Transit’s Board of Directors adopts both a state advocacy and a federal advocacy program. The District tracks relevant legislation and issues at the state and federal levels and keeps a record of its relevant positions on each bill or issue. Please e-mail any questions or concerns to Beverly Greene, Director of Community Relations and Legislative Affairs.